What's that? 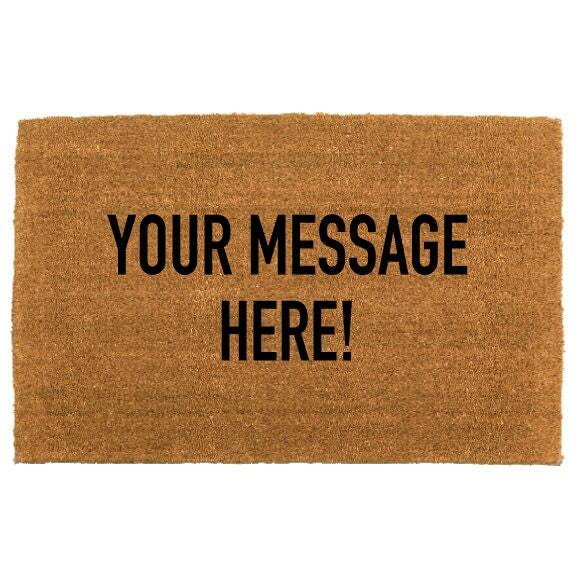 You want to add your own message to create a one of a kind doormat for your entryway? Well you've come to the right place! Simply shoot me a message through etsy or email me @ thecheekydoormat [!at] gmail.com with your desired message! If for some reason your message is extra complicated it may require an additional design fee. Please don't hesitate to message me with any questions regarding custom orders! For custom orders you can expect to receive a proof for your design within 1-2 business days of placing your order. 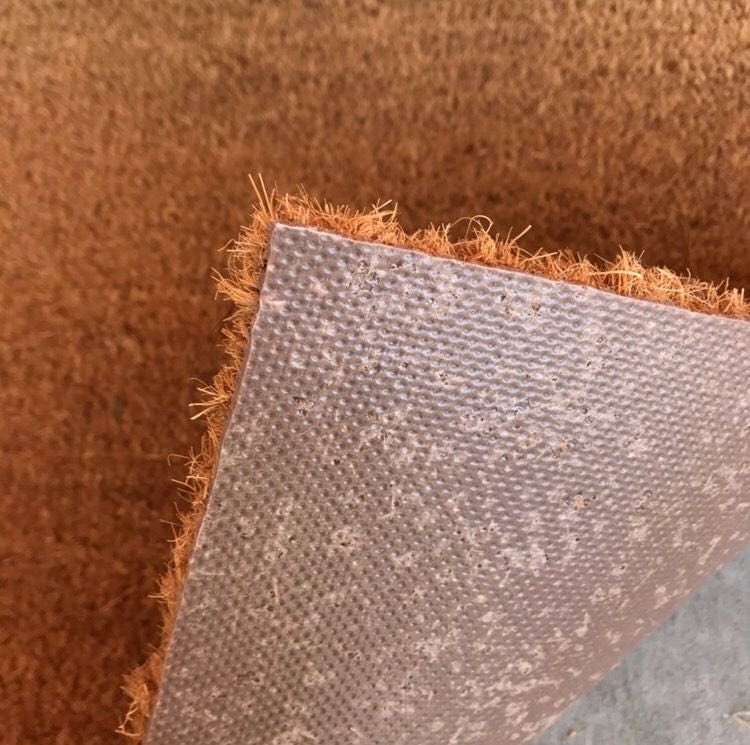 If I don't receive confirmation from you for your proof within 30 days, your mat will be shipped to you as is. By purchasing the custom doormat listing by the CHEEKY doormat, you certify that you have the right to use the image(s) in your artwork files that you submit to us. If you do not own the copyright on the art you submit, you certify that you have received permission to use the art from the owner or copyright holder. You certify that submitted artwork does not violate any intellectual property rights held by another individual or corporation. If you submit artwork owned by someone else to the CHEEKY doormat, you agree to indemnify and hold the CHEEKY doormat harmless from any and all damages and claims resulting from your order. Love love love! It’s perfect. Got this mat custom for my girlfriend and she loves it! If she’s happy I’m happy.